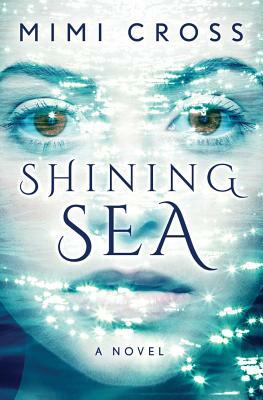 Seventeen-year-old Arion Rush has always played the obedient sidekick to her older sister's flashy femme fatale--until a mysterious boating accident leaves Lilah a silent, traumatized stranger. As her sister awaits medical treatment with their mother, Arion and their father head to his hometown in Maine to prepare a new life for them all. Surrounded by the vast Atlantic, songwriting is Arion's only solace, her solid ground. Unexpectedly, Arion blossoms in the tiny coastal town. Friends flock to her, and Logan Delaine, a volatile heartthrob, seems downright smitten. But it's Bo Summers--a solitary surfer, as alluring as he is aloof--that Arion can't shake. Meanwhile, Lilah's worsening condition, a string of local fatalities, and Arion's own recent brushes with death seem ominously linked...to Bo's otherworldly family. As Arion's feelings for Bo intensify and his affections turn possessive, she must make a choice. How will Arion learn to listen to her own voice when Bo's siren song won't stop ringing in her ears?